This was not meant to be a scary movie, but the thought of having Alzheimer’s and losing oneself is definitely frightening. Julianne Moore was incredible, a fact proven by her Oscar win for this film. To see the progression of memory loss was hard to watch, but at the same time was a wake up call to enjoy every moment of life. This is a film that makes you reflect and think, a rare thing in films these days. My only negative comment on this movie is the selection of Alec Baldwin as the husband. He cannot act and it was a distraction to an otherwise great film whenever he appeared. His one crying scene was laughable. Sadly, this is a true story and it is hard to imagine this happening to anyone, yet it did, and does. 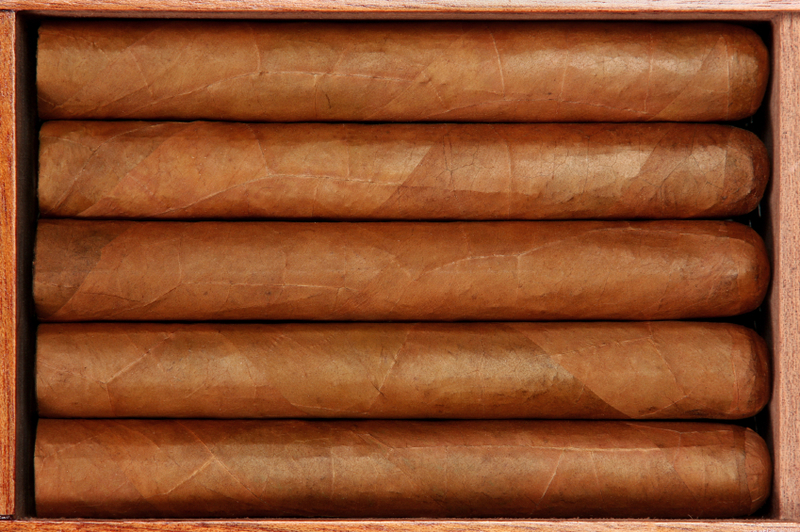 This one gets five cigars! They say the third time is the charm! This review is based on my third viewing of the movie. It is the first viewing with sound. The two prior were on my round trip to Australia where on both routes the person in front of me was watching Wild on their small screen, I could see but not hear. Choosing to wait to see the movie once home turned out to be fortuitous as at the time I did not realize it had been edited for viewing on the plane. There were a couple of important scenes that had been dropped. Having that said, this was a surprisingly good film. The premise did not have me excited and actually sounded boring, a woman walking the Pacific Crest Trail to find herself. (Yes, I would have thought it boring had it been a man.) But with the insertion of flashbacks, the story does not drag and has some poignant moments. Any film that has a known actor who can make you forget you are watching that actor is a good film, Reese Witherspoon does exactly that, I forgot I was watching her act. Her performance was outstanding, deserving of her Oscar nomination. It has been awhile since I went to see a movie and enjoyed it as much as I did this one. From the previews, this looked rather silly and I went in expecting to be bored. Not so. This is a spoof on the classic spy movie, yet is a seriously well written, well acted film on its own. All the elements of a good story are here. Good guys, bad guys, action, humor, underdog, tension, emotion, and puppies. Even though you know the good guys will triumph, the film takes you on quite a ride to reach that point. There is quite a bit of humor, both subtle and vulgar. Based on the reaction of those around me, some of the subtle was lost on them. Samuel L. Jackson plays the bad guy and like any film he is in, it is fun to watch him act. Michael Caine is the head of the Kingsmen and like Jackson, brings great talent to the film. Interestingly, I did not recognize Mark Hamill who plays Professor Arnold. Be sure and stay past what appears to be the last scene, the real last scene makes you say, “Yes!”. 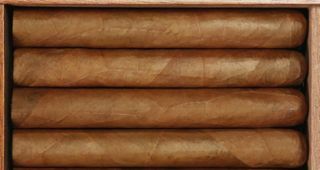 This gets five cigars, and I may just have to see this one again. This film is based on the book by Gillian Flynn, and oddly enough she wrote the screen play. Hopefully, you will read the book and skip the movie. The book was good because it was suspenseful, the movie is not. The book was good because a major portion of it was from the main characters perspective, Amy, through her journal. The movie left most of this out. The book was good because the husband, Nick, had a minor role, not so in the movie. Ben Affleck plays Nick and was probably the worse choice for the part. The book has his mistress constantly bugging him about their relationship, the movie left this out. In the book, Amy’s parents are extremely weird, not so much in the movie. In the book the tension is immense when Amy is robbed at the cabin she is staying in, the movie falls flat on this point. The fact that Flynn wrote the screenplay confuses me because you would think she would want the film to honor the book, it does not. This one gets one cigar and again, if you haven’t seen the film, skip it, just read the book. On the surface, this sounded like a good premise. A woman exposed to a substance that expands the amount of brain power she has until it reaches 100%. The possibilities for a good story are endless. Unfortunately, the writer decided on the lamest one. The director had an easy job. Take two great actors give them simple directions and start filming. In Morgan Freeman’s case, just stand and look dumbfounded. For Scarlett Johansson, just walk around looking perplexed. Throw in a car chase, machine guns in a confined space where no one is injured, and some footage from National Geographic and the film is complete. In the film the character Lucy says, “Time is the only true unit of measure”. True, and I just wasted 89 minutes of mine. This gets one cigar, make that one short cigar. Based on Joyce Maynard’s book, Labor Day is a study in the fragility of life. It shows what can happen in a relationship to send someone over the edge. In one case, into agoraphobia, in the other murder. Set in a small town we find, Adele, a mother, whose husband has left her, raising a teenage son. She has developed a fear of going outside which sets up her vulnerability. When the mother and son encounter an escaped convict, who coerces them into taking him to their house, it is understandable how this could happen. The love affair that develops seems natural enough. Through a series of flashbacks, we discover the reason for the incarceration. The convict, Frank Chambers, accidentally killed his wife, who we learn has her own mental problems and has killed their child. This helps in having sympathy for him as the story develops. While this is a good film, I had two problems with it. One, the flashbacks were confusing because in the beginning your not sure who they are about, Adele or Frank. The second problem, is the ending, just a little to pat for my taste. This film keeps you watching, and the tension is kept high as the climax approaches. Four cigars for this one.